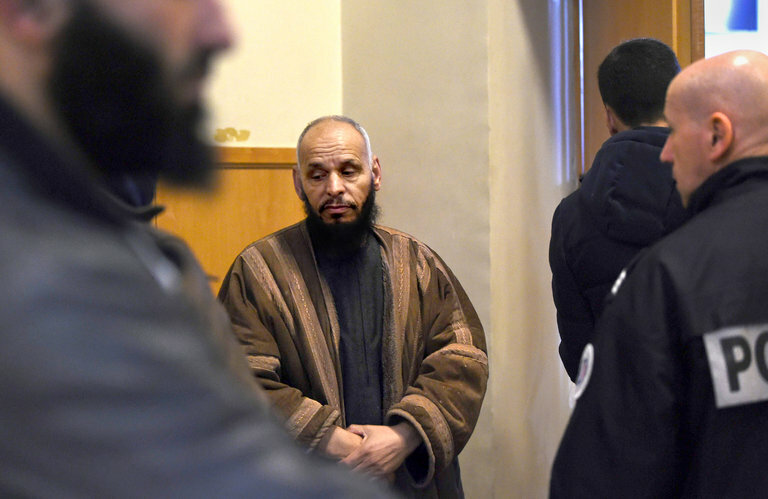 MARSEILLE, France — No ordinary preacher, El Hadi Doudi is perhaps France’s leading proponent of fundamentalist Islam. His influence extends throughout Europe, where his lawyer says the cleric is the only imam authorized to issue fatwas. Over 37 years, he has often berated Jews, women and the modern world, yet the authorities have tolerated his hard-line sermons and occasionally cultivated him as an ally. The government of President Emmanuel Macron appears poised to expel the preacher in one of the most striking examples of its hardening stance toward radical Islam. Mr. Macron has already used his hugemajority in Parliament to inscribe into law some government tactics — searches and seizures, house arrests, shutting down mosques — that had been applied before only as part of the state of emergency put in place after terrorist attacks in Paris killed 130 people in November 2015. The case of Imam Doudi, 63, who was born in Algeria and is not a French citizen, is part of a high-profile effort by the Macron administration to intensify scrutiny of Muslim clerics and, in some cases, to deport them. Some analysts say that Mr. Macron is using it to display toughness, as European governments struggle for tools to battle radical Islam, and as he fends off political challenges from the far right. The main goal is to eliminate Non Islamic priducts, and non Muslim employee ( exclusive Muslim). This is not a true Islamic teaching. The true Islamic teaching is justice for all, no discrimination afainst non Muslim. Young educated Muslim should be careful with the Islamic teaching from Clerics.